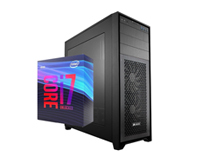 Lease a PC to Your Spec Featuring Intel 9th Gen CPU’s & GeForce RTX Graphics Options. HardSoft is proud to present our Flagship Intel Custom Build featuring 9th Generation Intel Core Processing. 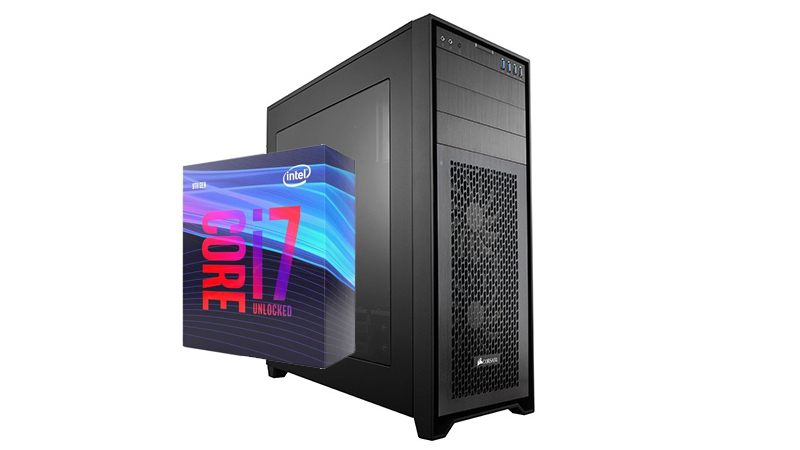 The new 9th Generation Processors are offering 8 Cores with humble gains from its predecessor the i7-8700K in this Coffee Lake Refresh, for your entry-level high-end desktop CPU. With these incredible CPU’s we are offering, we wouldn’t want them paired with anything less than the new NVIDIA RTX 20 series featuring their Turing Microarchitecture with GPI Accelerated Real-Time Ray Tracing to enhance the beautiful reflections and refractions on screen. Need a more Powerful PC? Try our i9-9900K! Featuring 9th Generation Intel Core Processing & Nvidia GeForce RTX 2060 Graphics. The i9-9900K provides 8 Cores, 16 Threads and Max Frequency of 5.0GHz. This is the only Processor in the first entrants of the Coffee Lake Refresh that provides Hyper-Threading for a high-end desktop CPU experience.